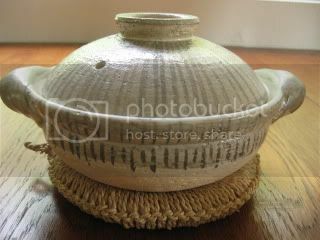 I love my new mini donabe collection, which flew straight from Iga, Japan recently. This is my new small-size classic-style donabe, "Rikyu-Tokusa". The details are the same as the regular (medium) size Rikyu-Tokusa. It's, of course, also handmade. It's such a simple dish and so easy/quick to make, and I never get tired of it! Here's the basic udon recipe. 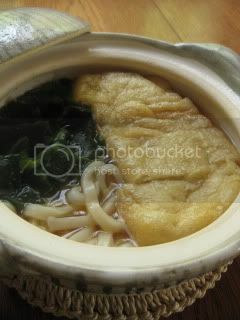 To apply it to single-serving "Nabe-yaki" style, simply cut the recipe amount into half, and cook the broth in the small donabe.